In American Psycho, Bret Easton Ellis imaginatively explores the incomprehensible depths of madness and captures the insanity of violence in our time or any other. 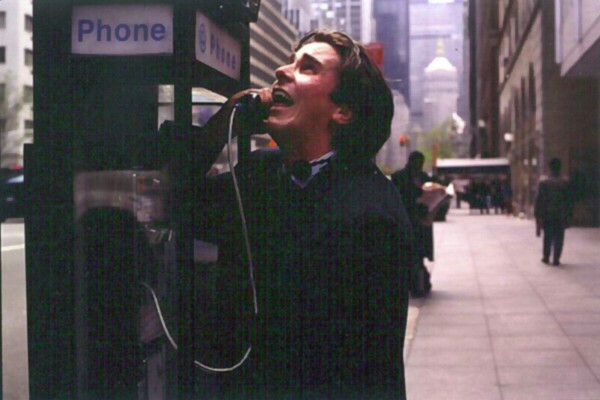 Patrick Bateman moves among the young and trendy in 1980s Manhattan. Young, handsome, and well educated, Bateman earns his fortune on Wall Street by day while sepnding his nights in ways we cannot begin to fathom. Expressing his true self through torture and murder, Bateman prefigures an apocalyptic horror that no society could bear to confront. Bret Easton Ellis is the author of The Informers, Less Than Zero and The Rules of Attraction. He was born in 1964 and raised in Los Angeles. He is a graduate of Bennington College and lives in New York City. His latest novel, Glamorama, is now available in paperback from Vintage Books. Bret Easton Ellis' "American Psycho" was perhaps the most controversial and hotly-debated novel of the last decade. Inciting all manner of protests for its graphic violence, its intensely dark tone made both the book and its author the subject of intense criticism. But the novel was not without its defenders. Christopher Lehmann-Haupt of The New York Times noted that "it's as if 'American Psycho' had returned us to some bygone age when books were still a matter of life and death instead of something to distract us on a flight between JFK and LAX." And, Lehmann-Haupt may have best conveyed the essence of the book in his description of its central character: "Patrick Bateman lives in a morally flat world in which clothes have more value than skin, objects are worth more than bones, and the human soul is something to be sought with knives and hatchets and drills." Few characters have personified an era as disturbingly as Patrick Bateman. In the same way that FRANKENSTEIN gave us a monster for its time, AMERICAN PSYCHO gives us a monster for the late 20th century. Showing contemporary urban life through the eyes of a serial killer--forcing readers to enter his mind and understand his motives--the book sets forth a vision that is both terrifying and chilling. A superbly wrought specimen who has all the accoutrements of a young "master of the universe," from designer wardrobe to designer pharmaceuticals, Bateman is seemingly perfect--just like everyone else in his crowd. He desperately wants to fit in yet, the terrible irony is, the more he tries to be like every other money-drenched man on Wall Street, the more faceless he becomes--and the less control he has over the terrible urges that, ironically, make him feel like an individual. Bateman is a paragon of conformity in an amoral society where to conform is to be amoral. But, more than other fictional criminals, the character of Patrick Bateman seemed to strike a particularly raw cultural nerve. Woven inextricably into his bloodlust was his lust for things, a kind of material fetishism for well known brand name, products, and places, that seemed almost as gruesome as his crimes. Relentlessly, he reminded us of our culture's insatiable greed during the extraordinary economic boom of the late 1980s. By implicating us into Bateman's nightmarish world through the very clothes we wore and things we owned, by linking every trend we followed and every pop icon we worshipped to such a morally bankrupt murderer, AMERICAN PSYCHO might have struck too close to home--but what a beautifully decorated home it was! Now, nearly a decade after the book's publication, benefiting from the distance and sharpened perspective that come with time, "American Psycho's" provocative social commentary can be re-evaluated and appreciated. Looking back from the cusp of the new millennium, we realize it operates metaphorically and that its content is not as emotionally charged nor as literal as it once seemed. It can finally be confronted--this time in the form of a stunning social satire for the screen. 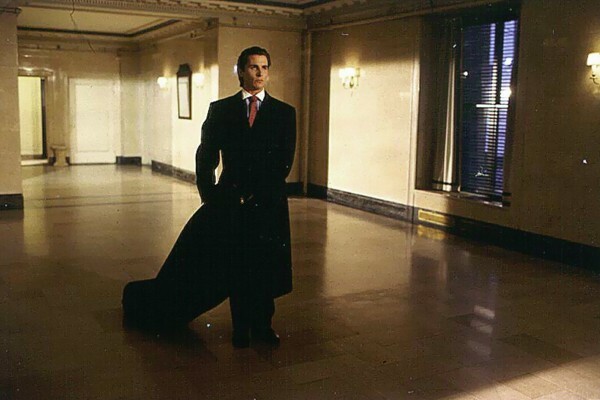 Lions Gate Films and Edward R. Pressman Film Corp. present "American Psycho." Directed by Mary Harron, AMERICAN PSYCHO was adapted for the screen by Harron and Guinevere Turner based on the novel by Bret Easton Ellis. 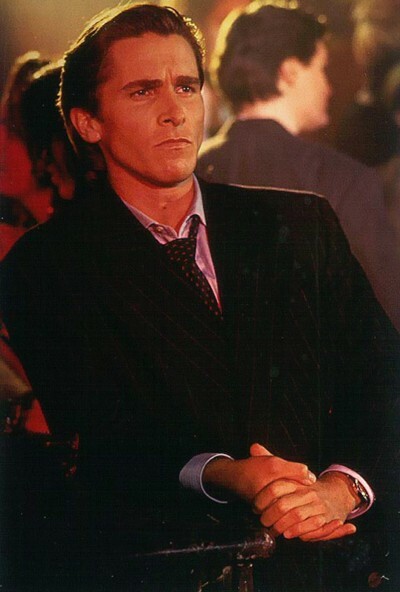 The film stars Christian Bale, as Patrick Bateman. Rounding out the ensemble are Willem Dafoe, Jared Leto, Reese Witherspoon, Samantha Mathis, Chloe Sevigny, Justin Theroux, Matt Ross, Bill Sage and Cara Seymour. Produced by Edward Pressman, Chris Hanley and Christian Halsey Solomon, the film is executive produced by Michael Paseornek, Jeff Sackman and Joe Drake. Unfazed by the controversy that AMERICAN PSYCHO stirred up, director/screenwriter Mary Harron looked past the book's graphic violence and recognized a valid vision of our culture. She also saw that the intervening years would allow a new perspective on the material. When both the era and the book are viewed from the distance of nearly a decade, she explains, AMERICAN PSYCHO comes into focus as "a brilliant social satire and a devastating portrait of the 1980s. The book captures the insanity of that period like nothing else." In the hands of Harron and co-writer Guinevere Turner, the story was transformed into a screenplay that Harron describes as "a kind of fable rather than a realistic drama, because on a literal level, Bateman would never have gotten away with it. But that is precisely the point of the novel--and the film--that might have become lost in the controversy. The fact is, no one suspects Bateman of being a monster because his externals fit so perfectly into his social landscape. 'AMERICAN PSYCHO' is not a 'message' movie--we're not preaching--but I hope that the film does reveal something about our society," Harron says. The result is a scathing, almost Swiftian social commentary that uses a particularly compelling criminal as a barometer for his times. On screen, Bale's Bateman has such disparate and disturbing antecedents as the creepiness that Peter Lorre pathetic compulsive killer in Fritz Lang's classic, "M," the stylish and superficially charming Joseph Cotton in Hitchcock's SHADOW OF A DOUBT, and the gleefully amoral Malcolm McDowell in Kubrick's A CLOCKWORK ORANGE. And, even though AMERICAN PSYCHO is presented as a period piece, albeit a not-too-distant past, it has contemporary resonance and, like its predecessors, it aspires to timelessness. "When I first thought about doing the movie, I was looking at it as a period piece," Harron notes, "because in 1996 we were looking back at an era that I thought was long gone. As it turns out, today's stock market is wilder than ever, and people are once again obsessed with consumption. It's just less shameless than it was ten years ago. Everything in the 80s was over the top � think about Christian Lacroix and the fact that 'beggars purses' filled with caviar appeared on menus. Today the money is back, and while the spending is a little less flagrant than it was ten years ago, people seem just as unconcerned with the plight of those less fortunate." While the book's notoriety sprang from its depictions of violence, the film has taken a different tack. To draw out the tale's satirical essence, Harron and Turner pared down the original story and selected pivotal moments, capitalizing on the humor in characters' behavior and retaining key elements of Ellis' "brilliant and very funny dialogue," says Turner. In addition, most of the violence takes place off-screen. "We knew from the start," Turner continues, "that if done incorrectly, this screenplay could translate into an exploitative slasher film. That was the last thing we wanted. Instead, what isn't seen is far more terrifying." Harron's production designer Gideon Ponte calls their philosophy "a form of 'less is more.' The approach is minimalist, relying on a few creepy details here and there. Then it's up to viewers to use their imaginations and fill in what happened." Photos Copyright © 1999, Universal Studios.